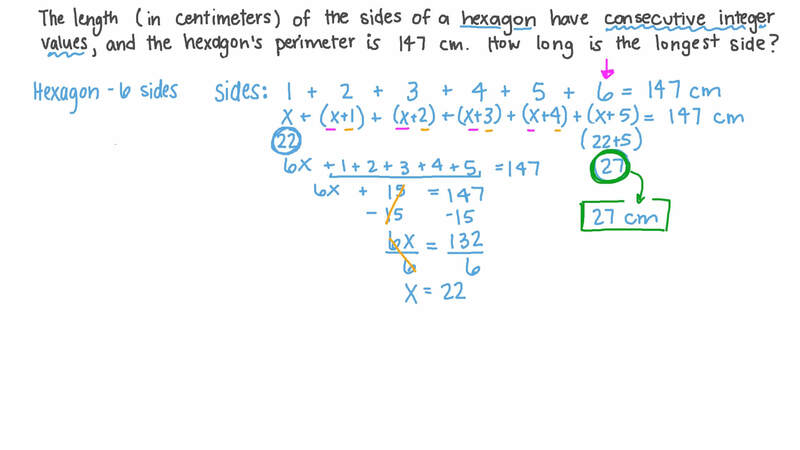 In this lesson, we will learn how to solve problems involving sums of consecutive integers. The lengths (in centimeters) of the sides of a hexagon have consecutive integer values, and the hexagon’s perimeter is 147 cm. How long is its longest side? 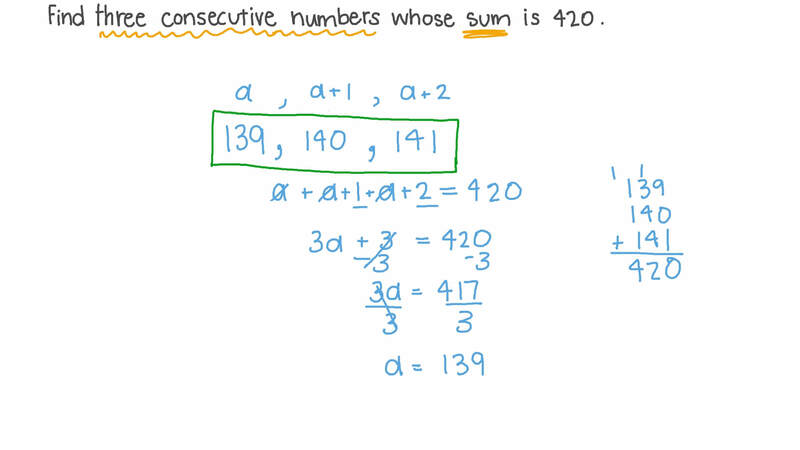 Find three consecutive numbers whose sum is 420. The triangle shown below has a perimeter of 120 cm. What is its area?